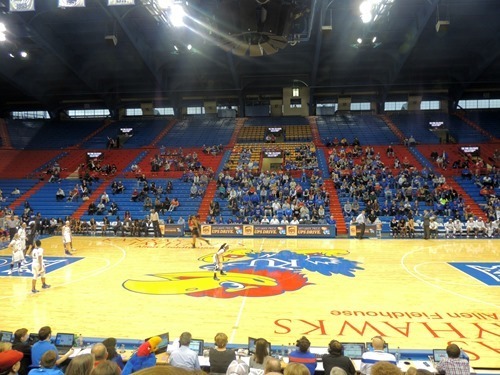 Family Fun With Kansas Women’s Basketball–Giveaway! 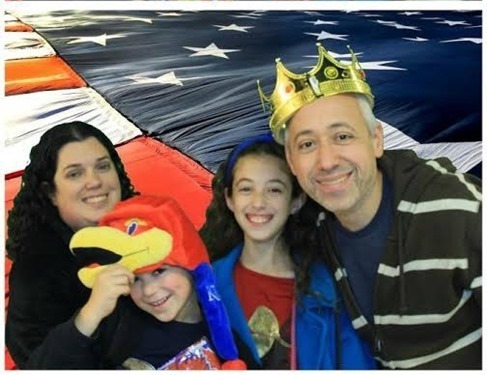 As you know, we live close to Kansas City. 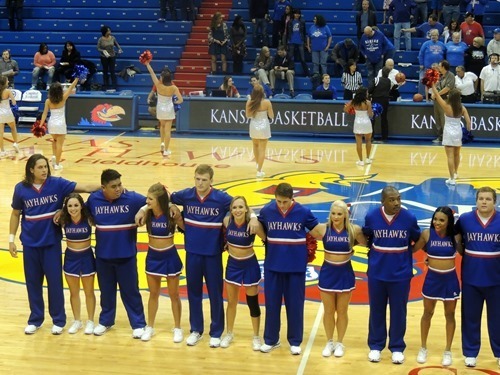 We also live relatively close (45 minutes away) to Lawrence, KS, the home of Kansas University and the Jayhawks. 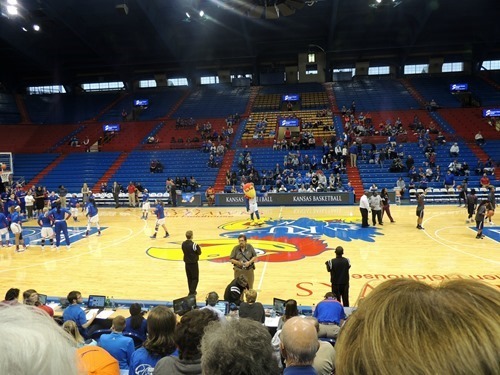 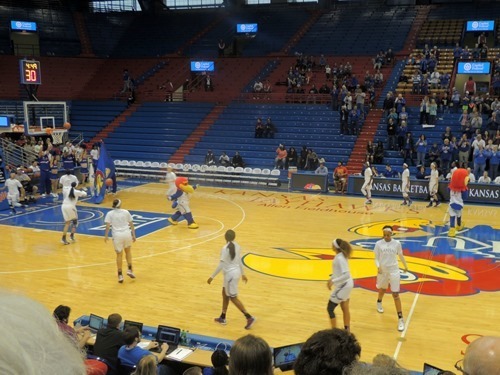 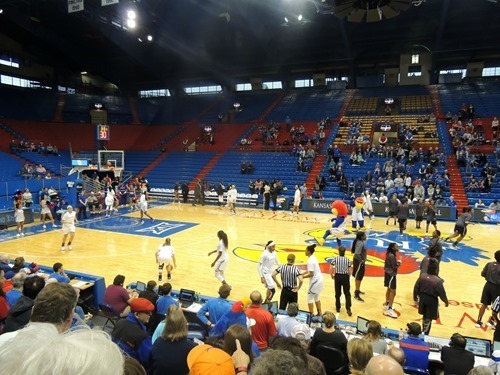 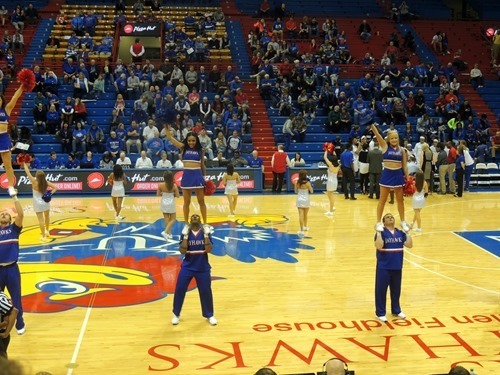 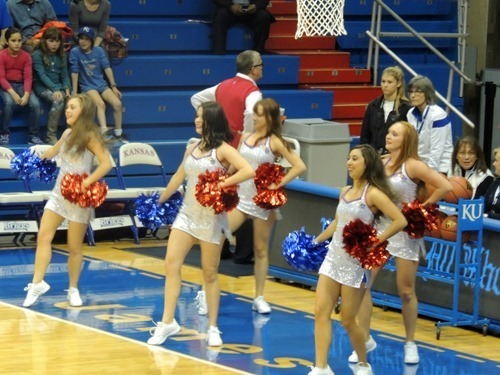 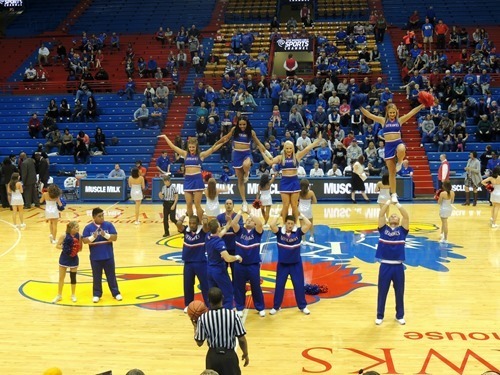 College sports are a big deal around here, and this past weekend, we were able to experience the excitement of a Jayhawks Women’s Basketball game! 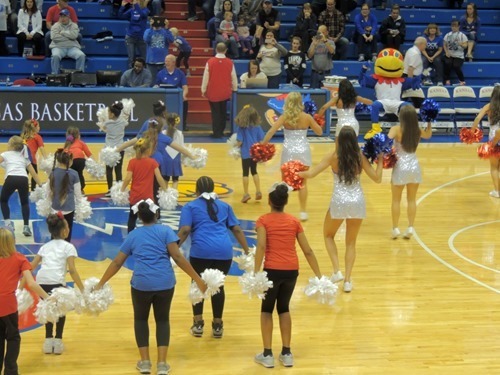 There is much excitement in the air at KU with the hiring of a new Head Coach, Brandon Schneider, and a women’s game is a really great experience for families, with interactive activities and the Fun Zone for kids available before each game. 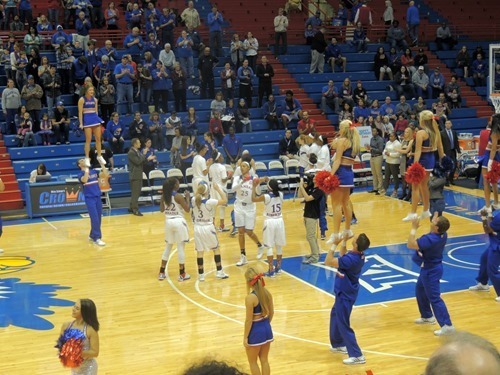 Plus, inside the game there are on court contests, chances to get on the video board (we did! 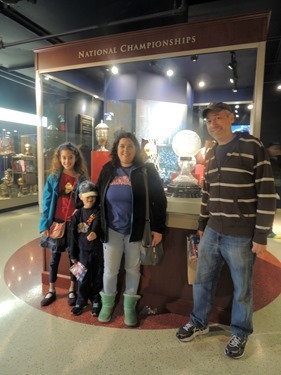 ), and a fun family atmosphere. 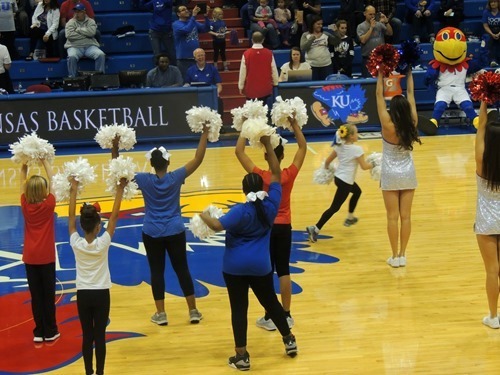 Many of the games include giveaways and exciting half time acts. 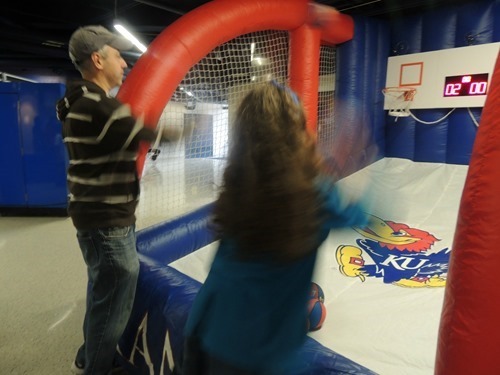 The Fun Zone includes inflatable games, photo opportunities, poster making, cookie decorating and much more. 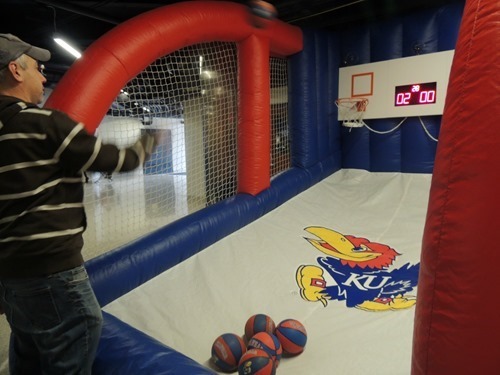 The Fun Zone opens 1.5 hours before tip-off and remains open until the start of the game. 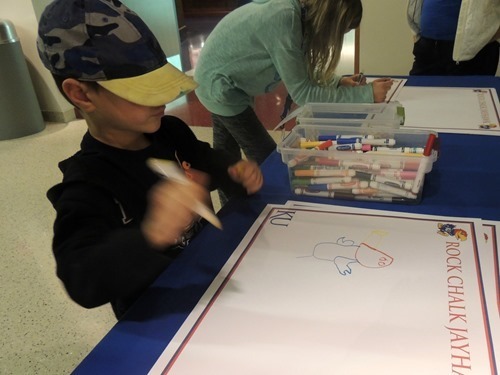 Here is Simon drawing a Jayhawk! 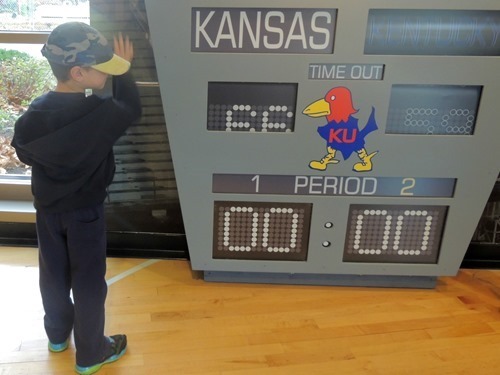 Dave and Gabbie tried some basketball. 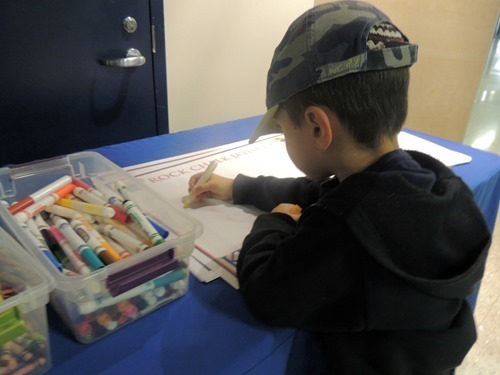 There was a lot going on inside too! 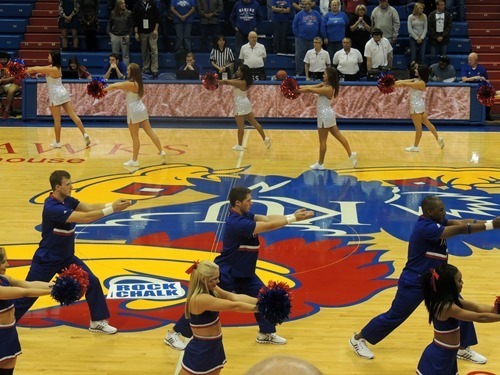 There was apparently a dance clinic before the game and the group performed during half-time. 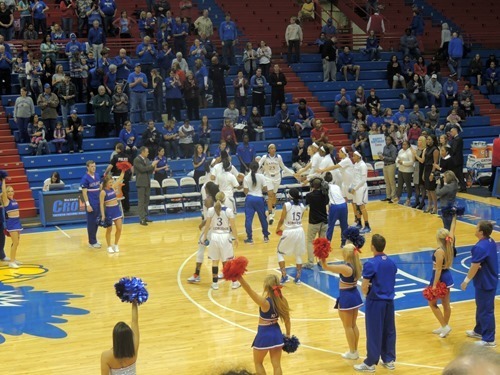 Gabbie would have loved that! 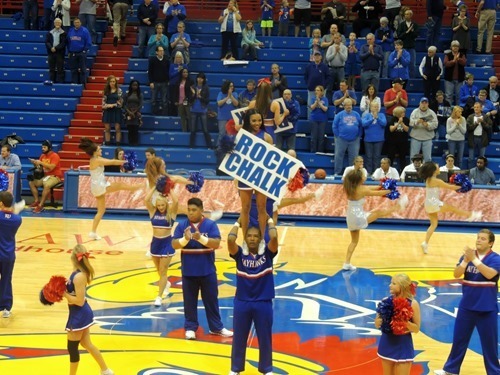 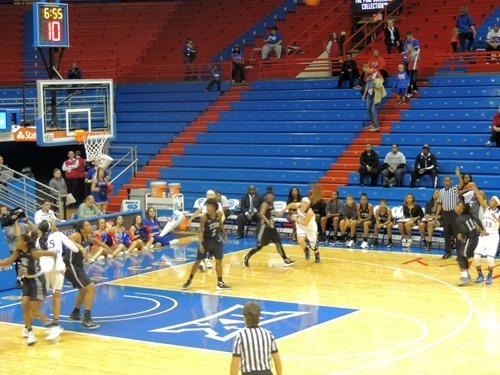 The game got close at one point, but the Jayhawks were always in the lead and ended up winning 72-65! 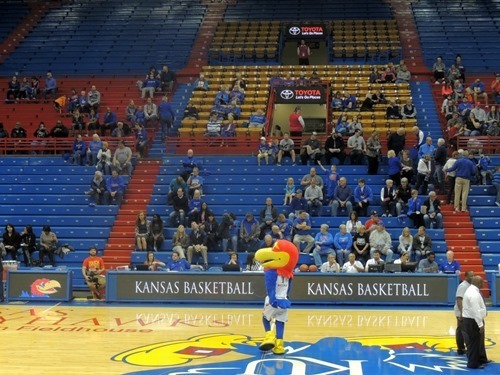 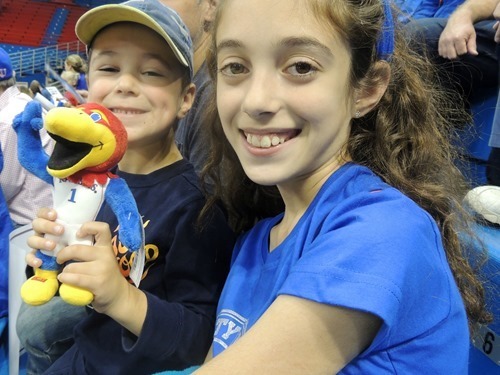 Two (2) Junior Jayhawk Kids Club memberships, a $90 value (includes admission to all Women’s Basketball home games)! 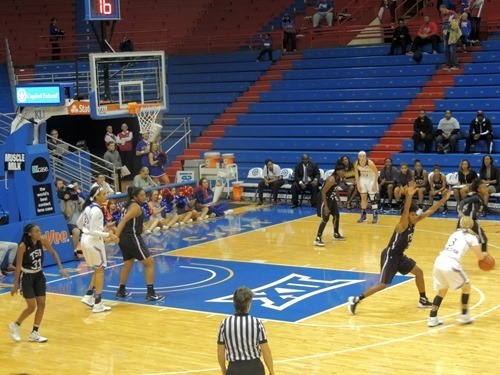 FREE Admission to: All home Women’s Basketball, Baseball, and Softball games. 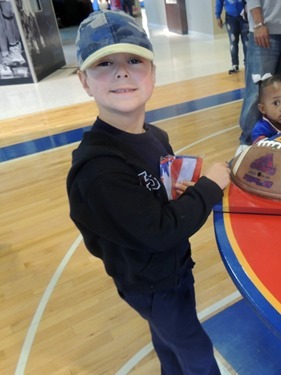 To enter for a chance to win this awesome prize package, use the form below! 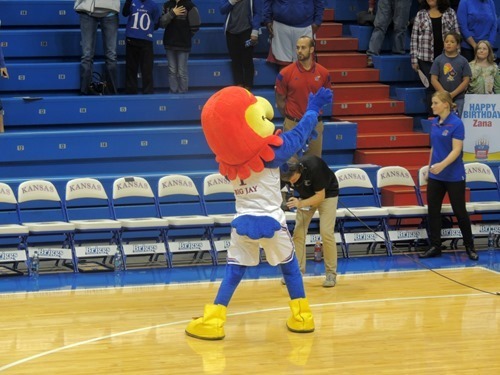 This post and giveaway are sponsored by Kansas Athletics. 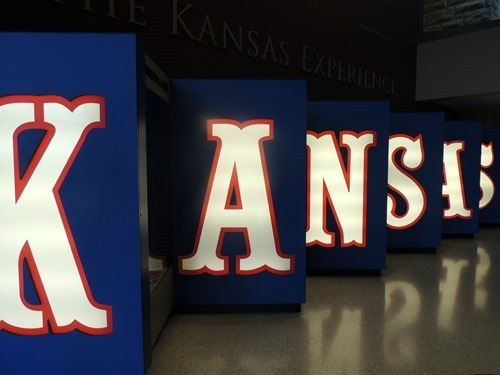 All thoughts and opinions are my own!